Our Mission: Expanding Access to Quality Addiction Treatment Services. To contribute by phone with a credit card, please call AATOD at: 212-566-5555 x 205. Contributors will be listed on this website if they wish and a letter of thanks will be sent to contributors as a record of your donation. 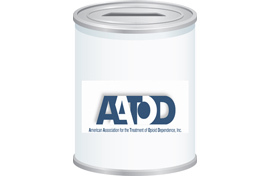 The American Association for the Treatment of Opioid Dependence, Inc. is a non-profit 501(c)(3) tax-exempt organization.